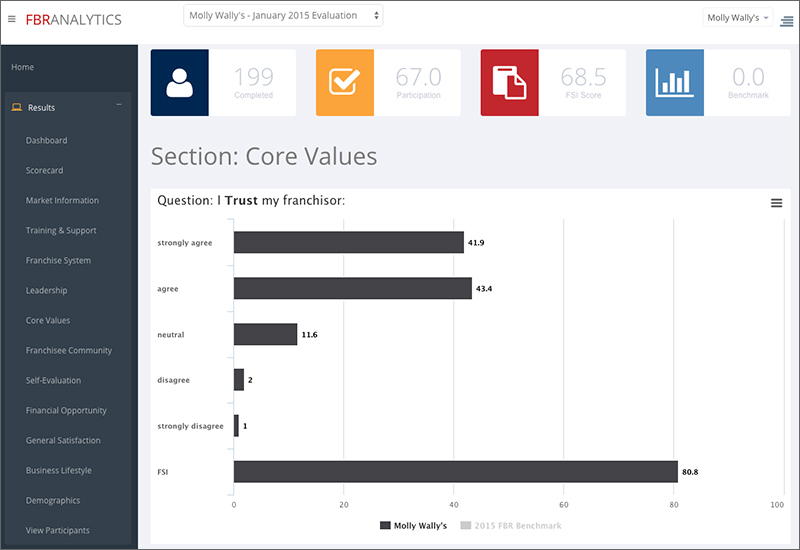 Franchise Business Review provides both interactive performance analysis and a variety of PDF reports to help you get the most out of your franchisees’ feedback. Get real-time access to your franchisee data and feedback. Quickly identify the areas where your system is thriving and where you need to take action. Compare and benchmark your brand against your specific industry or against all of franchising. 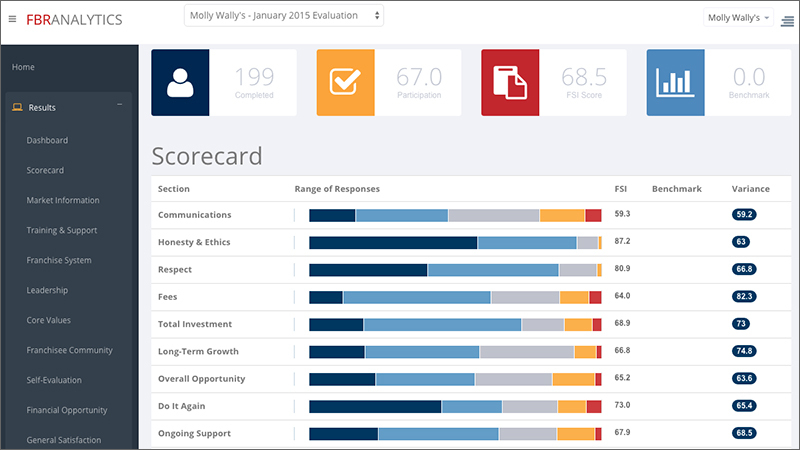 Invite candidates to see how your franchisees validate before sharing your FDD. This report provides a complete breakdown of each question, response rates, and our Franchisee Satisfaction Index (FSI) scorecard. Additionally, you’ll receive an individual scorecard for each franchisee, including name and demographic information, if provided. This report provides competitive benchmarking data for your company compared to aggregate data from all the other franchise companies within your industry that we have researched in the last 12 months. This report, for brands that have surveyed with us for several years, tracks your franchisee satisfaction over time to identify key trends and shifts. In addition to highlighting positive trends, it can bring issues to your attention before they become serious. Features the open-text comments from franchisees, broken out by question and name when given provided. 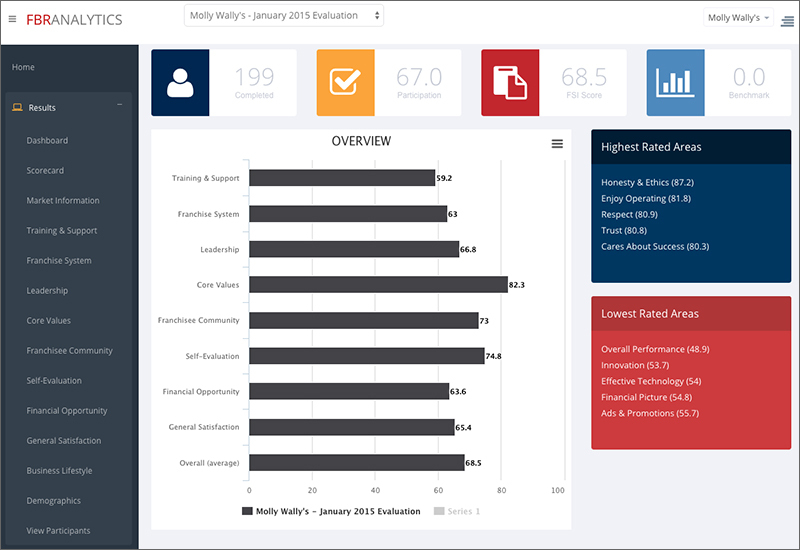 If your brand has above-average satisfaction, sharing your Summary Satisfaction Report with franchisee candidates can be a powerful sales tool. It highlights your average scores with a simplified five-point rating scale.